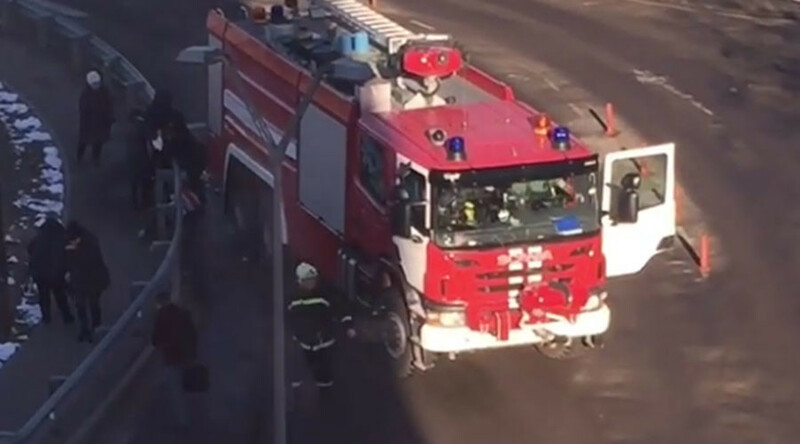 One person has died and four have been hospitalized in critical condition after a fire truck slammed into a bus stop near Moscow’s Domodedovo airport, the Russian Investigative Committee has reported. The truck was moving backwards when it hit a group of up to nine people, TASS reported, citing a security source. Those with light injuries received first aid at the airport’s first-aid post. The driver had suffered a sudden spike in blood pressure, according to an emergency services source cited by RIA Novosti. An investigation has been launched, and the airport authorities are cooperating with the police looking into the accident. Domodedovo is one of the Russian capital’s three major air hubs. It is located just south of the city.